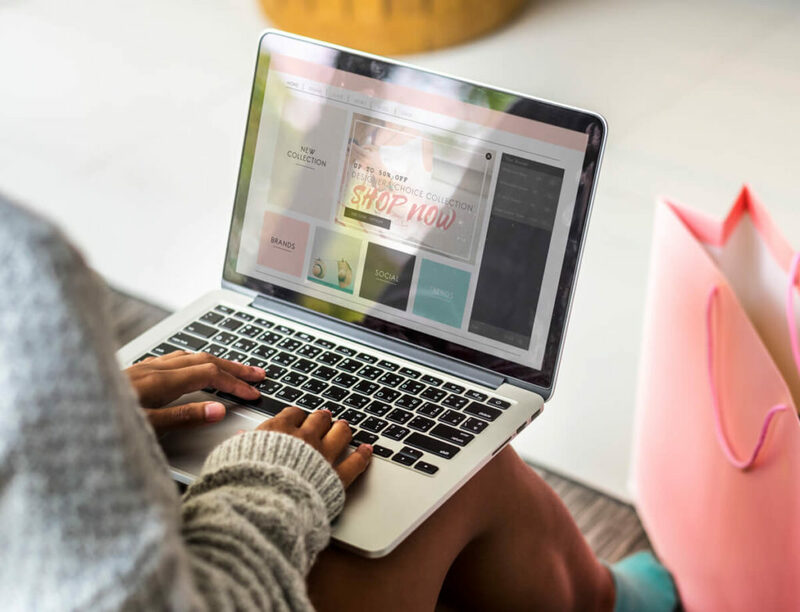 Your eCommerce website should capture your prospects, wherever they are in their buyer’s journey, and guide them from home page to check out. New Perspective provides eCommerce web design in MA, with the final purchase in mind. eCommerce, the buying and selling of products and services online, grows by the day. Are you maximizing its potential? 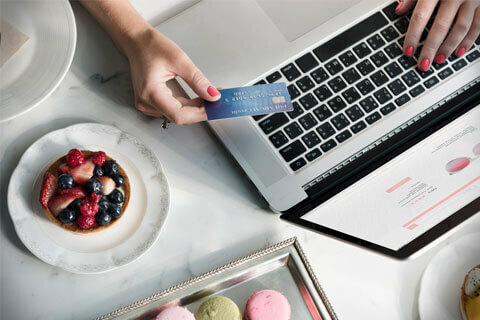 In 2017, approximately 1.66 billion consumers used the internet to purchase goods. Data compiled within The Enterprise Guide to Global eCommerce predicts a 246.15% spike in eCommerce sales worldwide. This will fuel the e-retail sales growth from $1.3 trillion in 2014 and $2.3 trillion in 2017 to $4.5 trillion in 2021. Why do these numbers matter to you? Because online shopping has begun to dominate over brick-and-mortar giants. 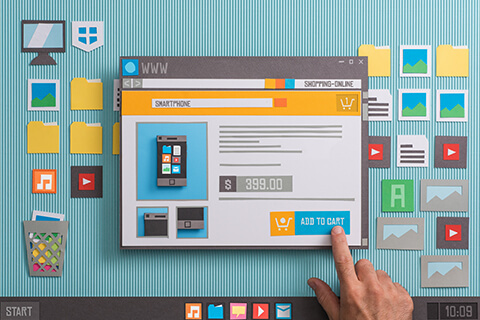 Through effective eCommerce web design and development based in Worcester, MA, you can present your products to billions of users and keep up with the demands of online selling. You may think that offering high-quality products is enough to win the business of your prospects, but that’s not entirely true. With many other businesses in your area offering similar products, how do you make sure your brand cuts through the clutter? Build your eCommerce website with your prospects in mind. 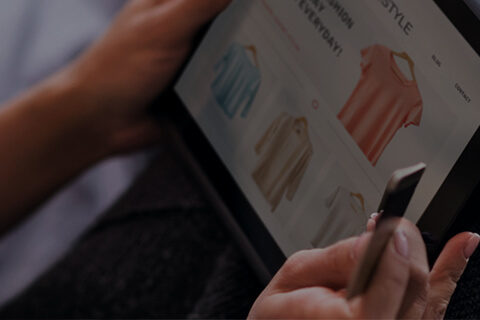 Understand what your customers want and how they feel as they browse through your online store. And, integrate into your site the elements that can build your prospective customer’s confidence for your brand. 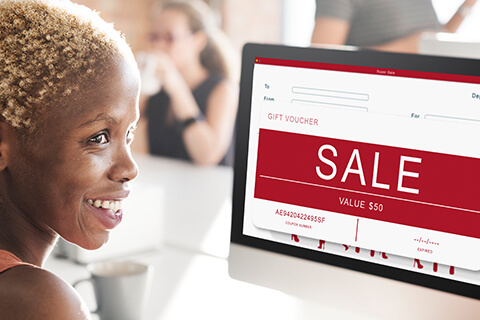 With an eCommerce site that demonstrates your credibility, your value proposition, and the quality of your products, you can lead them to award their trust – and their business— to you. Let’s design an eCommerce website that puts you on even footing against even the biggest players on the market. Sign up today. The true sign of a successful eCommerce website is its ability to consistently convert visitors into actual paying customers. It informs consumers, engages prospects, establishes trust, and paves the path to a sale. But many businesses lose customers to “cart abandonment.” This is when your customers dump the contents of their cart instead of completing their purchase. According to Baymard Institute, almost 70% of online shoppers choose to leave the website without completing a sale. So, ask yourself: does your current website orient your visitors on your brand and offerings from the get-go? Can your site build trust and make your customers feel comfortable about clicking the “Buy Now” and “Add to Cart” buttons? Social proof of your legitimacy in the form of trust marks—endorsements from organizations like TRUSTe, VeriSign, Comodo, and the Better Business Bureau. It’s not just your products that sell online. Your presentation and website’s usability counts, too, and bad eCommerce website design can kill your sales. If you’re confusing your customers with a poor website layout and photos in various jarring formats, they may get discouraged from checking out. Let’s get you that sleek, professional-looking, and easy-to-navigate eCommerce website you’ve always wanted. When you use clear, high-resolution photographs presented on a credible-looking website, your products will sell better. And if your site has easy-to-read descriptions for every product, you can be sure that no customer will fall through the cracks. Our site was design and built by NPWS several years ago and we have been working with them ever since. NPWS has always done what they said they were going to do and have been very responsive. We continue to work with them on SEO and marketing and we are very pleased with the results. NPWS is expert at what they do and they continue to deliver value to us on a regular basis.